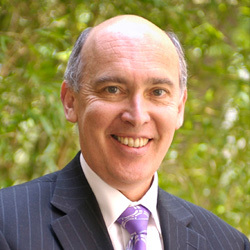 Tim Brown has been the Director of the Australian Mathematical Sciences Institute (AMSI) since 2019. With 41 members drawn from universities, government agencies and learned societies, AMSI is the principal national voice for the mathematical sciences discipline. Its programs cover research and higher education, school education and industrial and commercial engagement. AMSI is recognised by government and industry as a leading provider of policy advice, services, programs and strategic initiatives. Tim has a long academic career across the University of Bath, Monash University, University of Melbourne, University of Western Australia, Australian National University and La Trobe University. He has been a Professor of Probability, Statistics and Data Science in totality for over 32 years and has held leadership positions such as Head of Department of Statistics; Head of Department, Mathematics and Statistics; Dean of Science; and Deputy Vice Chancellor (Research).